The Lie Detectors is a duo of Eyal Maoz on guitar and Asaf Sirkis on drums. Close friends since they were 10 years old growing up in Rehovot, Israel, Maoz and Sirkis formed a Top Secret organization called The Lie Detectors. That organization gives their current band its name and at least partially explains their uncanny, telepathic style of making music together. Now based in New York, Maoz is a staple of the avant-garde scene with his bands Lemon Juice Quartet (with trumpeter Avishai Cohen) and Edom (featuring John Medeski and releasing albums on John Zorn’s Tzadik Records) and as a member of Shanir Blumenkranz’ Abraxas and John Zorn’s Cobra. Sirkis, now based in London, is one of the most active drummers on the European music scene, working with Larry Coryell, John Abercrombie, Jacob Collier, Dave Holland, Soft Machine and many others. 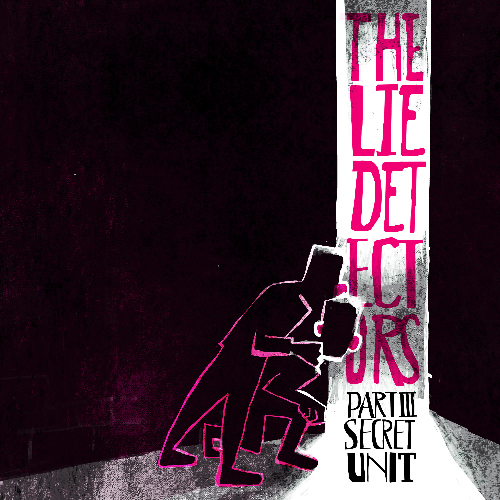 The Lie Detectors is at once rooted in the rich tradition of jazz yet always willing to smash it wide open, bringing in other influences including rock, punk and whatever else might cross their Top Secret path.